The Leek Wootton & Guy's Cliffe Parish Directory for 2017 is now available. Copies will be distributed with the Leek Wootton Link for Dec/Jan and is available here to view. APPLY FOR ENTRY AS A NON-RESIDENT ORGANISATION IN THE LEEK WOOTTON & GUY’S CLIFFE PARISH DIRECTORY. Businesses, clubs and societies outside of the Civil Parish Boundary may be considered for inclusion in the Parish Directory. 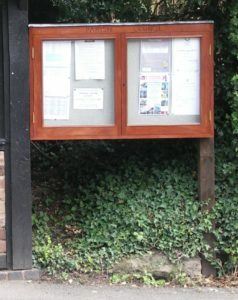 Inclusion is by approval of the Parish Council and may include a fee. If you would like to apply for entry, please contact the Clerk to the Parish Council. RE-ORDER COPIES OR MAKE AN AMENDMENT TO AN ENTRY IN THE LEEK WOOTTON & GUY’S CLIFFE PARISH DIRECTORY. If you would like to re-order a copy of this directory or request an existing entry within this Directory to be amended, please contact the Clerk to the Parish Council.